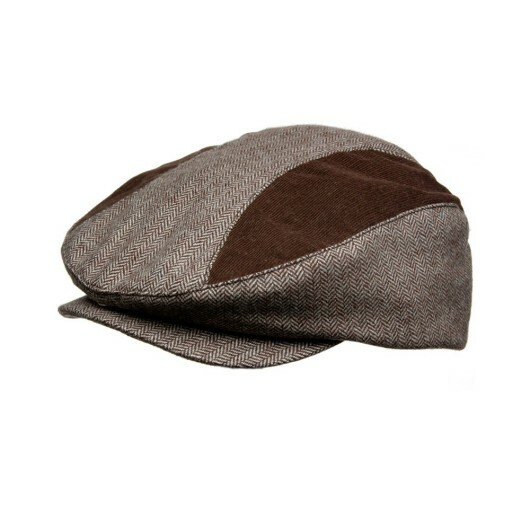 A Deisgner Newsboy Cap - Stylish driver newsboy cap from Fore!! Axel and Hudson. 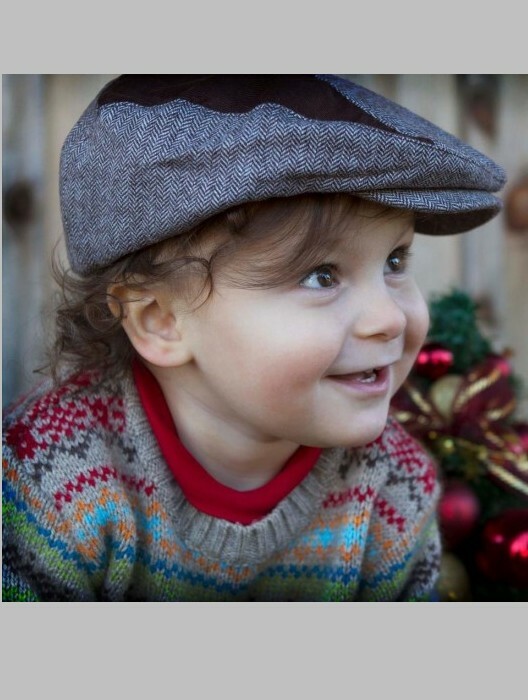 This brown tweed herringbone cap has the feel of soft wool flannel and features brown mini wale corduroy accent panels and a skull print lining. The Axel and Hudson gold metallic crest is on the side. Snap brim. 70% polyester, 20% wool and 10% rayon. Size S/M is 52 cm and usually fits ages 2 - 4 years. Size M/L is 54 cm and usually fits ages 4 - 8 years (Sold out). Spot clean. Ships in 1 business day.